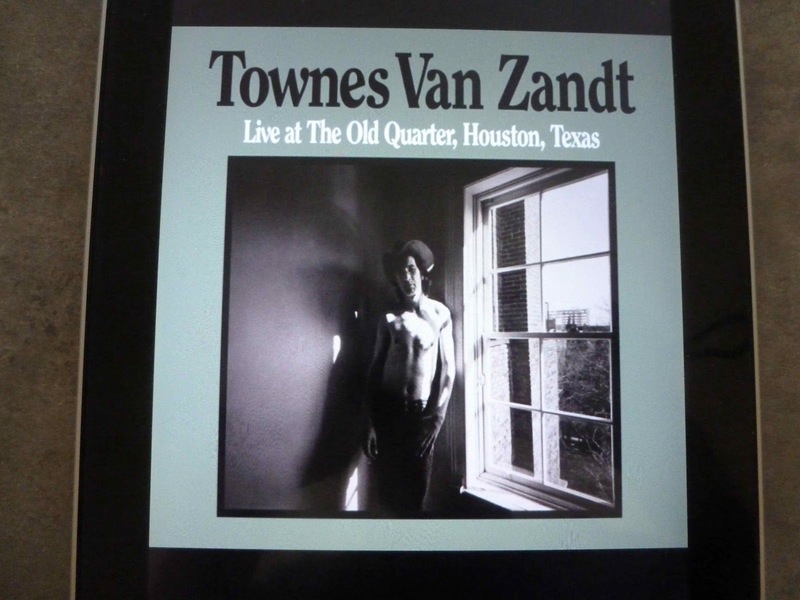 First released in 1977, and intermittently in and out of print thereafter, Live at the Old Quarter delivers twenty-six of Townes van Zandt’s best songs, drawn from a five-night solo residency in July 1973 at a tiny Texas venue that could comfortably seat sixty, though according to legend over a hundred jammed into the room on the nights these recordings were made. Judging by the introduction, we’re talking the last night of the run in a two-storey building (everything, it seems, is upstairs) that apparently drew a mixed clientele of skid row bums, hippies, and tidy professional people, a neighbourhood bar where you’d reckon the ambient noise would kill any chance of a decent recording. They were, after all close to double the notional/legal capacity of the bar. The result, however, is almost crystal clear, with just enough happening on the edges to remind you that, yes, this is a live recording and underlining the apparent fact that a man and a guitar, a set of mostly immaculately written songs and a joke or two in between can hold an audience spellbound. You might look at it and figure the bloke’s got rocks in his head to lead off with what’s arguably his best-known song (Pancho and Lefty) and following it with Mr. Mudd & Mr. Gold but from that opening one-two punch he doesn’t let it slip. On the other hand, to the average listener, Poncho might be about the only track they’d be likely to recognise, apart from the cover of Bo Diddley’s Who Do You Love? so it’s sort of a case of that’s a damn fine song and these are damn fine songs too. Lyrically, the songs are pretty dense, hardly the epitome of verbal economy, but there’s a precision there as well. Yes, they’re wordy, but they’re only as wordy as they need to be, and they’re delivered in a manner that commands your attention, which is obviously what happened in a crowded two-storey building close to forty years ago. I was pointed towards this album by a discussion about great songwriters over on the not entirely Neil Young-centric Rust mailing list, where a comment from a bloke who seemed to have reasonable taste suggested this was either the best of Townes’ albums, or the pick of the live ones. As a relative newbie I’m not in a position to comment on either suggestion, but can’t help thinking the man’s better in a live setting than stuck away in a studio. The writing is excellent, it’s relatively early in his career, so issues with alcohol and drugs haven’t kicked in to the extent they did later on (that much seems obvious from the performances here aligned against the man’s legend) and there’s a crisp clarity to the recording that gives you the I’m right there feeling. 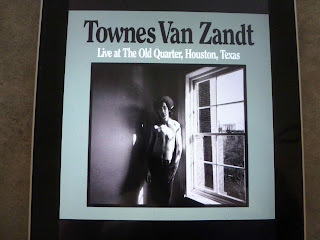 There may be better Townes van Zandt live albums, and if there are I want to hear them. In the meantime this will do very nicely, thank you.